Faithful and priests wept at the sight of the Qianyang church, demolished by the authorities. Meanwhile, in Mindong (Fujian), registration with the Patriotic Association for the bishop and underground priests is required, contravening the Sino-Vatican agreement. "The Sino-Vatican experts who hold high hopes" should listen to "groans from innocent oppressed (Christians)". Beijing (AsiaNews) – Here we publish a comment by the blogger-priest Shanren Shenfu ("mountain priest"), on some news emerging from the Church in China, such as the destruction of the church in Qianyang (Shaanxi) and the government’s resistance to the recognition of Msgr. Guo Xijin as auxiliary bishop of in Mindong (Fujian). 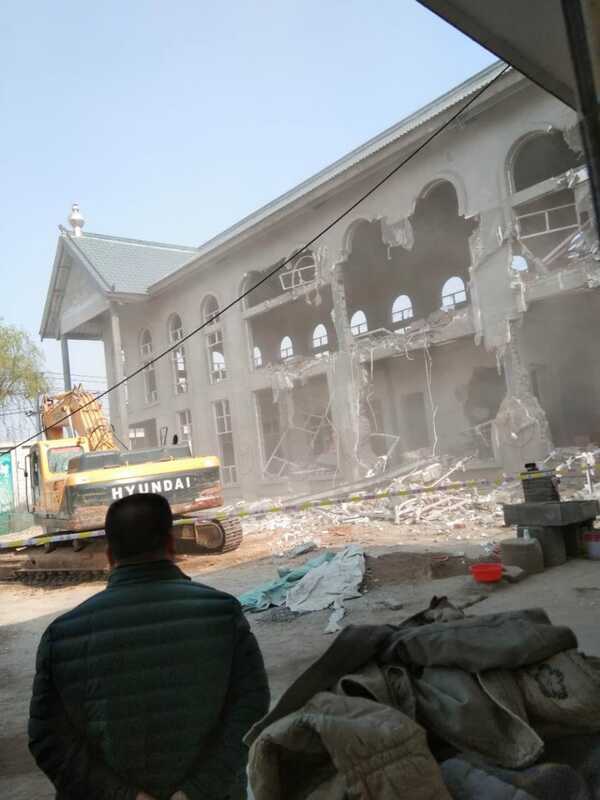 A new church, still under construction, located in Qianyang in the Diocese of Fengxiang (Shaanxi), was razed to the ground four days ago. In some videos taken on the spot, the local faithful tried with all their might to protect the church from demolition. However, from the cries of pain and lament of some faithful present, it is understood that their attempts were in vain. Building a new church for the community is a continuation and expression of one's faith, it is also aimed at solving the need to have a place where the faithful can carry out religious activities. The donations collected are undoubtedly numerous, but also the commitment and the lively participation of the faithful are not to be underestimated. The participation of the authorities in the opening ceremony of the church was also foreseen: this means that nothing was hidden. At a time when the church was nearing the end of the construction work, catastrophe struck and it has grieved the hearts of the faithful. Many brother priests say they cried with great sorrow as they watch the demolition scenes on the videos. After the provisional agreement signed by China and the Vatican, we who live within the Chinese Church no longer dare to have great expectations, because we have been told that our journey is still long and at the request of the Holy See, we – who are part of the Chinese Church - must be patient and make concrete sacrifices. However, obedience to the agreement is the prerequisite for all our actions (the Pope claims to have signed the agreement, therefore, he takes responsibility). The content of the signed agreement has never been made public (the Vatican says it has not published the content at the request of China), so that what the Chinese authorities have promised in turn remains shrouded in mystery. Currently the Holy See has legitimized, according to its own regulations, seven excommunicated bishops and asked the two ordinary bishops to cede their office to two newly recognized bishops. Nevertheless, in light of what has happened so far, we have never seen the official authorities loosen their stranglehold on the Chinese Church. According to recent sources, although the bishop of the diocese of Mindong has given up his office for the unification of the diocese, underground priests and bishop Guo have not yet been recognized. The first step towards the light would be to [understand] how to overcome the difficulty for which they resisted for 60 years, or enroll in the Patriotic Association, but in the “post-agreement era” the problem is sharpened, without any room for negotiation . So the Chinese government is willing to offer 200,000 yuan (about 27,000 euros) to those who join the Patriotic Association, so that the annexation of the Diocese of Mindong can be successfully reconciled. The Holy See believes that, the humiliations suffered by the Chinese Church are the mortifying cost that it must pay for the Sino-Vatican agreement to be continued. The dioceses are therefore required to obey the ban on allowing minors attend the church or to organize catechesis classes. The last glimmer of hope is to await the moment when the Vatican realizes the positive aspects obtained for the Chinese Church through the agreement, and hope that this moment arrives as soon as possible. Until then, on the other hand, the Sino-Vatican experts who hold high hopes for this agreement continue to consider this anguish and the damage we suffer a necessary evil, as if they were deaf to the cries of the Chinese Church, and the weeping of the innocent oppressed (Christian). If the Holy See has listened to the lament and sorrow of excommunicated bishops and have accepted them in communion with a merciful heart of the Father, how could they bear the cries of the innocents, forcing them to be the bearers of the cross? I reiterate my firm point of view: Chinese Christians love their homeland and they continue on the path of Jesus Christ towards peace, love and mercy. 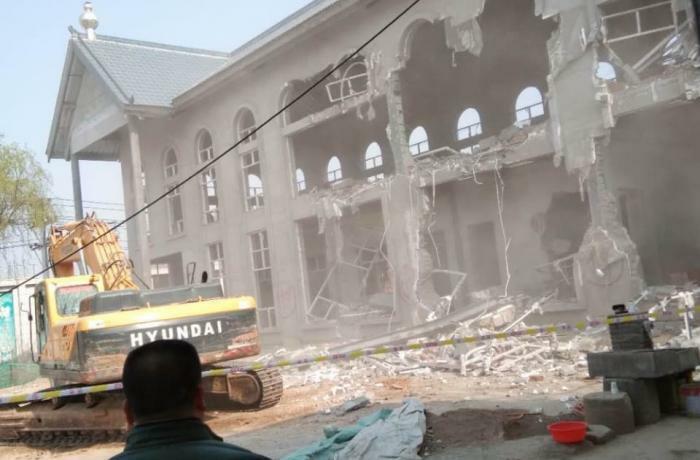 Nevertheless, the demolition of the new church in Qianyang (Fengxiang) and the seal on the door are now the most burning truth, thus wounding the hearts of many who love the "Truth"!